Dr. Nesochi discusses the link between blood clot risk and height on CNN. (CNN)How tall you are might hold clues to your risk of various health problems, such as blood clots, according to a new study. “Height is not something we can do anything about,” lead study author Dr. Bengt Zöller, associate professor at Lund University and Malmö University Hospital in Sweden, said in a news release. 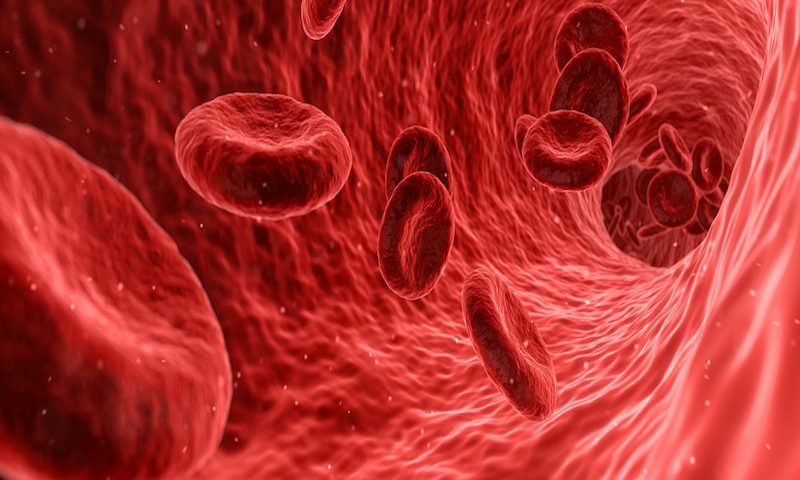 In the United States, blood clots are thought to kill about 60,000 to 100,000 people annually, according to the US Centers for Disease Control and Prevention. Across Europe, there are an estimated 500,000 deaths related to blood clots each year, according to a 2014 review paper in the journal Thrombosis Research. The risk of blood clots isn’t the only health concern that has been tied to height: Cancer, heart problems, gestational diabetes and even longevity have been linked with stature. The new blood clot study involved data on more than 1.6 million Swedish men who enlisted in the military and were born between 1951 and 1992, and data on more than 1 million Swedish women who had a first pregnancy between 1982 and 2012. Pregnancy can increase the risk of blood clots, which is among the leading causes of maternal death in the developed world. Among men, an association with height was found for risk of blood clots in the lungs, called pulmonary embolism, as well as in the legs and other locations. Among women, only the risk of blood clots in the legs was significantly associated with height. Still, “these clots are deadly because they can break free from the vein and travel to the lung,” said Dr. Mary Cushman, professor of medicine and pathology and director of the Thrombosis and Hemostasis Program at the Larner College of Medicine at the University of Vermont, who was not involved the new study. “If the clot is big enough, that can cause death, which is sometimes sudden,” she said. The researchers also found that the strong association between blood clot risk and height remained among the siblings. The strengths of the new study are its large sample sizes and its utilization of siblings, said Dr. Nesochi Okeke-Igbokwe, an attending physician of internal medicine at NYU Langone Health in New York, who was not involved in the new study. “Overall, it is a solid study with good research methodology used,” Okeke-Igbokwe said. One limitation of the study was that the researchers did not have information on the participants’ childhoods, home environments and diets. However, they used educational level as a measure of lifestyle factors. All in all, “this study adds to growing evidence that body size in general is an important factor to consider in determining the risk of VTE. It also gives us information about why VTE occurs in the legs more often than elsewhere, like the arms,” said Cushman, who also serves as editor-in-chief of the journal Research and Practice in Thrombosis and Haemostasis. When it comes to the new study, the “robust” design could be replicated to determine whether height correlates with other health problems, said Ulhas Naik, professor of medicine and director of the Cardeza Center for Vascular Biology Research at the Sidney Kimmel Medical College at Thomas Jefferson University, who was not involved in the new study. Cancer risk goes up with height? Epidemiological studies have suggested that taller people are at an increased risk of cancer. A systematic review paper published in the journal Plos Medicine last year, in which 63 studies on the association of height with cancer risk were analyzed, provided evidence for a potential link between adult height and the risk of colorectal and lung cancers. The paper also suggested that certain genetic factors and biological pathways affecting adult height may affect the risk of those cancers. A separate study published in the Journal of the National Cancer Institute in 2015 provided strong evidence that adult height can be a risk factor for breast cancer in women. As with the Plos Medicine study, the researchers behind the 2015 study pointed to certain genetic factors and biological pathways affecting height as having an important role in the development of breast cancer. Is short stature tied to gestational diabetes risk? Height also has been linked to gestational diabetes, which occurs when high blood sugar starts or is first diagnosed during pregnancy. A study of 135,861 pregnancies in women of various races in the US, of whom 5,567 were diagnosed with gestational diabetes, found that taller height was significantly associated with a lower risk of gestational diabetes. Overall, women in the highest height quartile in that study had more than 60% lower risk of gestational diabetes compared with women in the lowest quartile, even after accounting for maternal age, weight, race, insurance and education, according to the findings.The study was published in the journal Diabetic Medicine in 2013. Are your height and heart risk connected? Researchers have long suspected that being shorter might be tied to an increased risk for certain heart problems, such as heart disease and heart attacks. On the other hand, atrial fibrillation, a problem with the speed or rhythm of your heart rate, has been observed to be more prevalent among taller individuals. Overall, a meta-analysis research paper on height and health risks, published in the International Journal of Epidemiology in 2012, found that “height was negatively associated with death from coronary disease, stroke subtypes, heart failure, stomach and oral cancers, chronic obstructive pulmonary disease, mental disorders, liver disease and external causes,” according to the abstract. “In contrast, height was positively associated with death from ruptured aortic aneurysm, pulmonary embolism, melanoma and cancers of the pancreas, endocrine and nervous systems, ovary, breast, prostate, colorectum, blood and lung,” the abstract said. That study involved an analysis of 121 prospective studies including about 1 million people. Some studies also suggest that shorter people appear to have longer lifespans on average. NYU Langone’s Okeke-Igbokwe said that with all of these height-related correlations — from cancer to heart diseases — the exact underlying mechanisms still need to be fleshed out. “Undoubtedly, an increased number of large-scale studies will still be required to really examine the correlation between height and these other medical conditions,” she said.